Action of Kuyalnik's mud - is multifaceted. There are several types of effects of peloids: chemical, thermal and mechanical. During treatment with mud in the cells is a natural enhancement and restoration of all systems of the body at the cellular level, normalization of all functions. 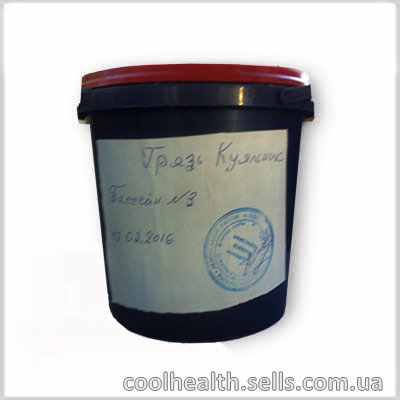 The therapeutic composition Kuyalnik estuary mud - therapeutic nitrogen, carbohydrates, minerals, acids, mostly potassium, magnesium chloride, magnesium bromide and sodium iodide. These substances have a very high penetrating properties. During the procedure, the skin receives ions, changing the ionic composition of the blood, resulting in the activated functionality important human organs, in particular, significantly improved the liver and kidneys. Normalize metabolic processes, it comes in the balance of the nervous system, improves the function of the gastrointestinal tract, reduces the load on the heart muscle and blood vessels due to the expansion of capillaries. age period (after 60 years under the supervision of a physician).